The 2015-2016 colloquia committee focused on the following three types of events: those in which we share our own research; those in which we invite outside speakers whose work is related to the research interests of the department; and brown-bag professionalization workshops for graduate students. Join us as we hear from some of the most successful grant writers from the Sociology Department. 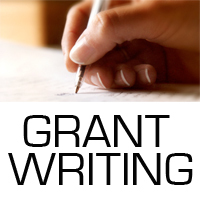 Topics will include: funding strategies, creating a budget and budget narrative, pursuing funding from private foundations and other sources, National Science Foundation, Ford Foundation Fellowship Program, UC Humanities Research Institute, and funding for international research from Social Science Research Council and Fulbright. What do markets see when they look at people? Information dragnets increasingly mine huge quantities of individual-level data, which is analyzed to sort and slot individuals on the basis of taste, riskiness, or worth, with the goal of improving customer experiences and increasing the profits of firms. This talk presents a new theoretical framework for understanding these changes developed by Fourcade and collaborator Kieran Healy. They argue, first, that modern organizations follow an institutional data imperative to collect as much data as possible; second, that as a result of the analysis and use of this data individuals accrue übercapital, a form of capital flowing from their positions as measured by various digital scoring and ranking methods; and, third, that the facticity of these scoring methods make them organizational devices with powerfully performative effects. For organizations they create new opportunities to structure and price offerings to their consumers, and for individuals they create classification situations that identify shared life-chances in various product and service markets. Fourcade will discuss the empirical implications of these processes and argue that they tend to give rise to a new economy of moral judgment, where stratified outcomes are experienced as morally deserved positions, based on one’s prior good actions and good tastes, as measured and classified by this new infrastructure of data collection and analysis. Marion Fourcade is Professor of Sociology at UC Berkeley. She received her PhD from Harvard University and is alumna of l’Ecole Normale Supérieure in Paris, France. A comparative sociologist by training and taste, she has investigated national variations in neoliberal transitions, political mores, valuation cultures, and economic knowledge (Economists and Societies, Princeton University Press 2009). With Kieran Healy she is now investigating the rise and consolidation of a new classificatory regime powered by digital data and scoring technologies, a project upon which her talk is based. Her work has appeared in American Journal of Sociology, American Sociological Review, Journal of Economic Perspectives, Socio-Economic Review, Theory & Society, and other outlets. For more information, see: marionfourcade.org. Co-Sponsored by the Science & Justice Research Center and the Center for Collaborative Research for an Equitable California. This study compares dispute resolution strategies of workers in hierarchical, conventional businesses with those of members of worker cooperatives, organizations in which all workers co-own and co-manage the business. Drawing on data from three industries (coal mining, taxicab driving, and food distribution), this study finds support for some predictions in the literature that assert that the cooperative’s flattened structure and egalitarian ideology will affect workers’ grievance resolution. Although the data do not indicate a single pattern in dispute resolution strategies (i.e., with all members of the cooperatives resolving their disputes one way and all non-cooperative employees using different strategies), the data do demonstrate that, when comparing matched cooperative and conventional businesses within each industry, the worker cooperative members possess more dispute resolution strategies than their conventionally employed counterparts. 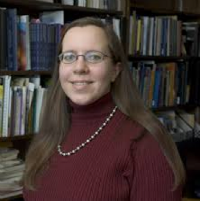 Elizabeth A. Hoffmann is an Associate Professor at Purdue University, in its Law & Society Program and the Sociology Department. She holds a J.D. and a Ph.D. from the University of Wisconsin. Researching at the intersection of law and the workplace, Hoffmann has written on a wide range of socio-legal topics, including workplace dispute resolution, sexual harassment and discrimination, deviance at work, and industry and organizational loyalty. She authored Co-operative Workplace Dispute Resolution: Organizational Structure, Ownership, and Ideology, which examines dispute resolution strategies in matched sets of worker co-operatives and conventional businesses across three industries (coal mining, taxicab driving, and food distribution). The book finds that members of co-operatives have a wider range of strategies to draw on to address workplace problems, even though these large worker co-operatives in her study sometimes fell short of ideal co-operative goals. Her work has won awards from the American Bar Foundation/Law & Social Inquiry, the Upjohn Institute for Employment Research, and the Labor and Employment Relations Association. Hoffmann is currently exploring such issues as the tension between rights-talk and medical best-practices in achieving workplace accommodation, historical legal consciousness, and employees' negotiation of the private duties versus public rights at work. Indian Marxists came to terms with the foreignness of Marx by translating and transmitting his messages of capitalist exploitation, egalitarianism, and social transformation to a vibrant public of workers, labor leaders, and intellectuals. In Bombay city, the message was delivered to the public in a language they were most conversant with – Marathi. In the process of translating his visions of universal egalitarianism, Marxists affiliated with the Communist Party of India encountered other hierarchies. The two hierarchies that this paper considers are caste and language. Shaikh explores how such translation altered the theoretical significance of Marx, and can serve as a lesson about how theory 'travels,' and is transformed in the process. 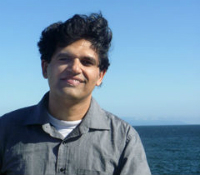 Juned Shaikh is Assistant Professor of History at UC Santa Cruz. His research lies at the intersection of urban history, labor history and Dalit Studies. Shaikh studies the ways in which marginalized groups negotiated and created urban spaces, navigated institutions of the modern State, produced social movements, and how these groups fashioned an intellectual corpus including a field of literature in 20th century Mumbai. He received his Ph.D. from the University of Washington in 2011 with a dissertation entitled Dignity and Dalit Social Imaginaries: Entanglements of Caste, Class, and Space in Mumbai, 1898-1982. Shaikh received the Best Graduate Student Paper award from the South Asia Council in 2010 for his paper, “Kamyunista Jahirnama [The Communist Manifest]: Mavali, Dalit and the Making of Mumbai’s Working Class.” In 2011 he received the Social Sciences Dean’s Medal from the University of Washington to recognize his exceptional work. In 2014 he published an article for South Asia: Journal of South Asian Studies, that examined the role of images in the formation and understanding of caste in Mumbai during the first quarter of the 20th century. Shaikh is currently working on expanding his dissertation into a book and a second article for Social History, focused on the translation of Marxist texts into the Marathi language, which will be the subject of this talk.